My hubby and I aren’t one’s to typically plan a date night often. People say that dating your spouse is important so I figured we should probably shake things up. I started looking up some ideas and came across Whitney’s 50 fun date ideas (I don’t know about you, but thinking of unique date ideas can be hard). What I love most about this list is that most of the ideas don’t take a lot of planning, can be done spontaneously, and aren’t over the top or crazy expensive. Regardless of what type of date we are planning I like to dress up a little bit – it helps keeps things from feeling like just any typical night out. With that being said most days I am a lip balm and occasional lip gloss type of girl. For Galentines Night my makeup artist friend Maria did my lips with a deep merlot red lipstick and man did it make me feel fierce – move over Beyonce! 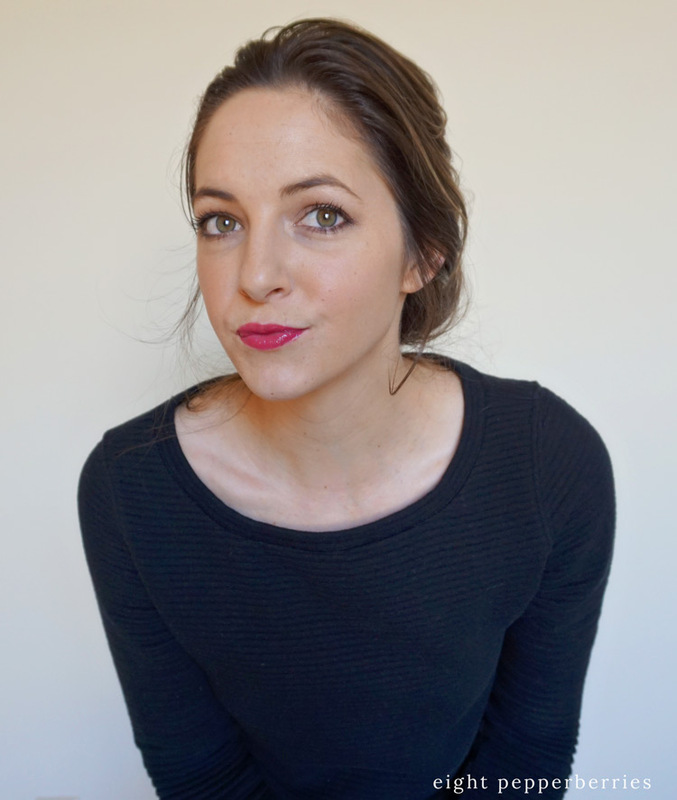 I’m all about quick and minimal when it comes to my makeup routine and the above combo is my go to lip look, it has a neutral brown undertone. 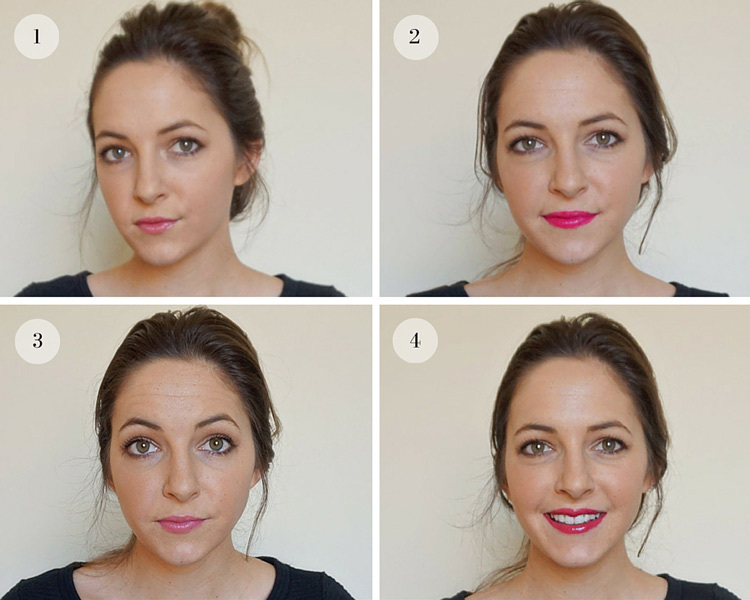 However, on date nights I like to experiment with different lip colors and have some fun! To keep my lipstick staying nice and pretty I start by scrubbing my lips and prepping them with a primer and lip liner. 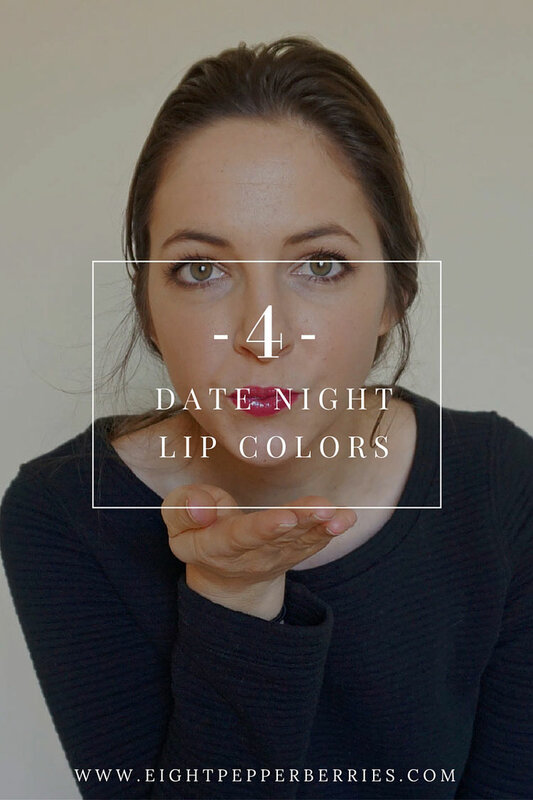 Let me share with you four date night lip color options ranging from neutral to red. This again is my go to combination, but what I like most about this neutral look is that it can be paired with a smoky eye without my makeup looking over done. 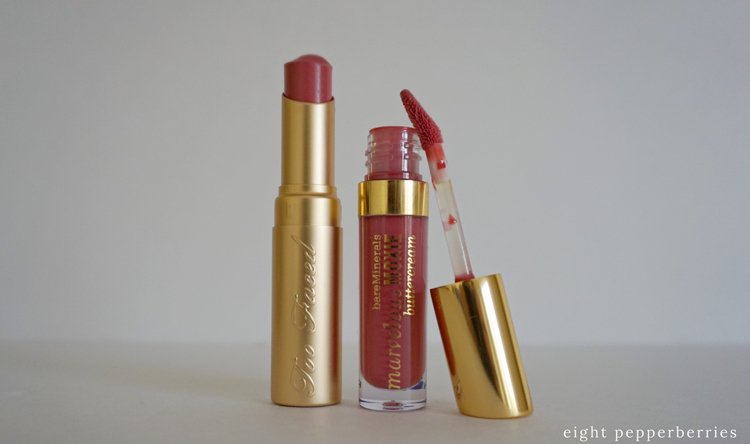 The Too Faced lipstick is more of a lip butter so it doesn’t dry out my lips. I purchased it during an Ulta sale at half price and it’s been the best spontaneous purchase I’ve ever made. Ooh la la! This color makes me feel so girly! I was afraid at first to try this color because my complexion is so pale, but it actually brings a little pop to my face. 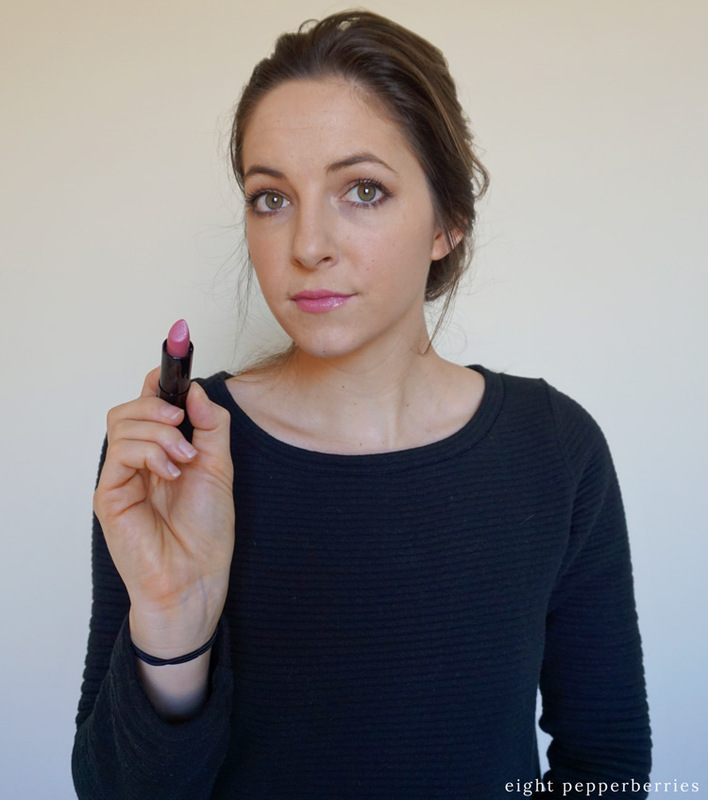 The lip color is labeled as a ‘red’, but it leans towards a fuchsia pink shade when applied. And the blue undertone is great for making your teeth look whiter! If you are looking for a more traditional red try out Cherries in the Snow. 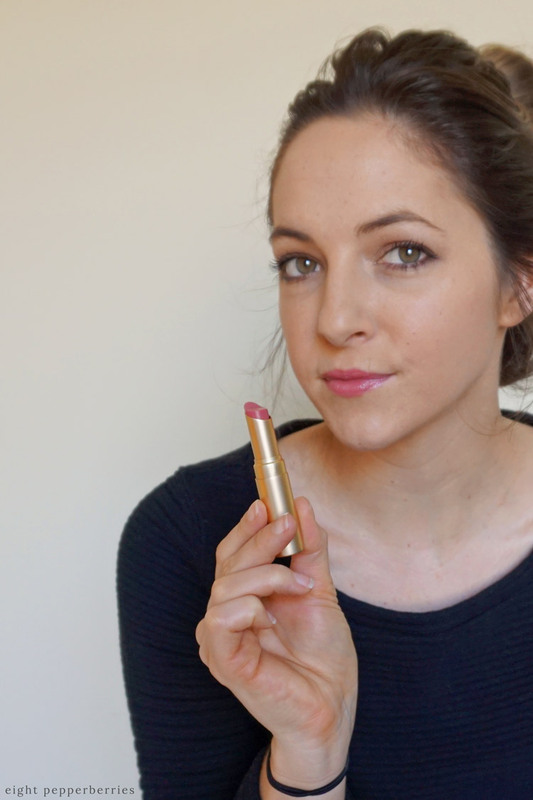 Take your time when applying this lip color – Ivy shows you how to get long-lasting staying power. Awe this color brings back sweet memories for me – I wore it on my wedding day. It’s a great color for day dates – think leisurely walks at the farmers market or a spring fair. The pink color is soft and feminine, great for pairing with a casual spring dress and sandals. 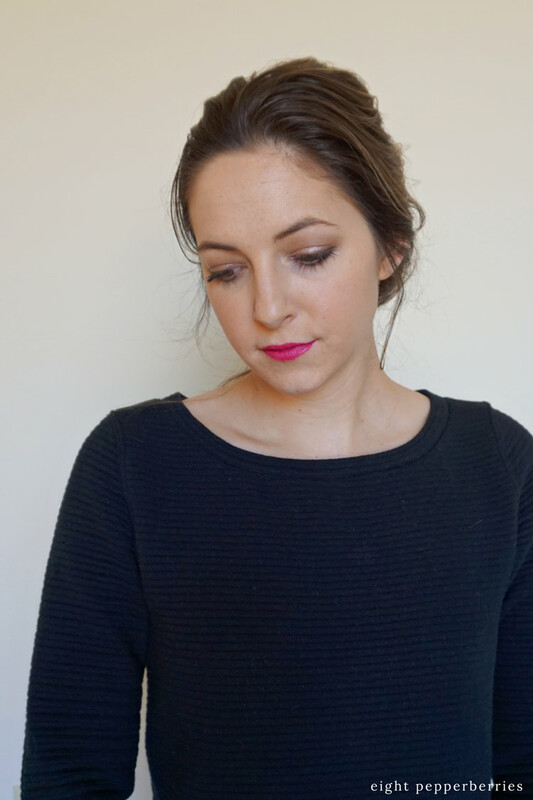 This lip gloss adds a glam punch to your look and for some reason makes me feel so Parisian, ha! I got it a few months ago in my monthly Ipsy box and fell in love with the deep berry color. To give this gloss staying power I used a primer and neutral lip liner first. I love that this gloss is so highly pigmented, it makes touches up a breeze and allows me to toss it my bag and go. Okay, beautiful friends, there you have four date night (or day date!) lip colors to choose from. 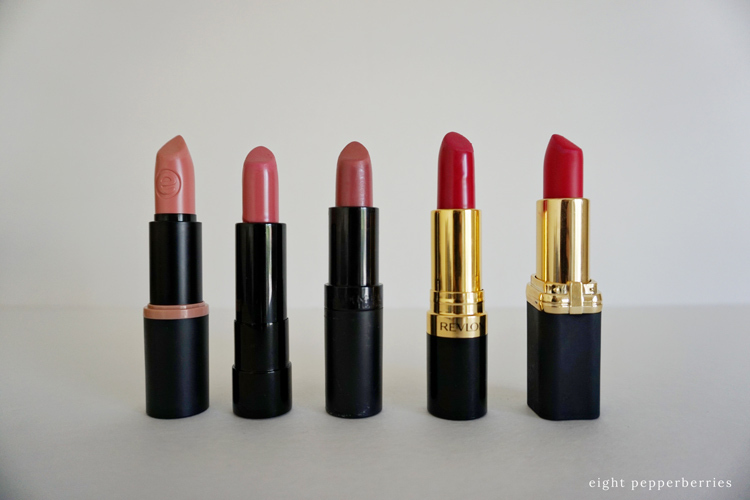 Which lip color is your favorite? 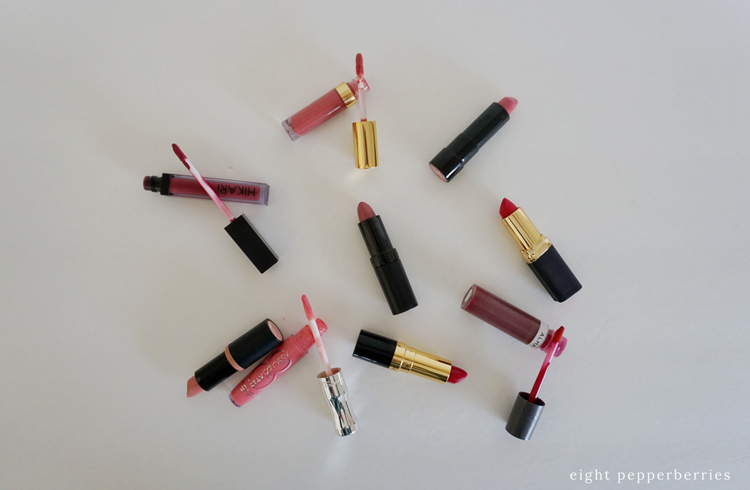 Are you a lipstick or lip gloss kinda gal? What’s your go to lip look? Get on the Eight Pepperberries list! You’ll receive post directly to your inbox! « Save The Date: Galentines Night Event!